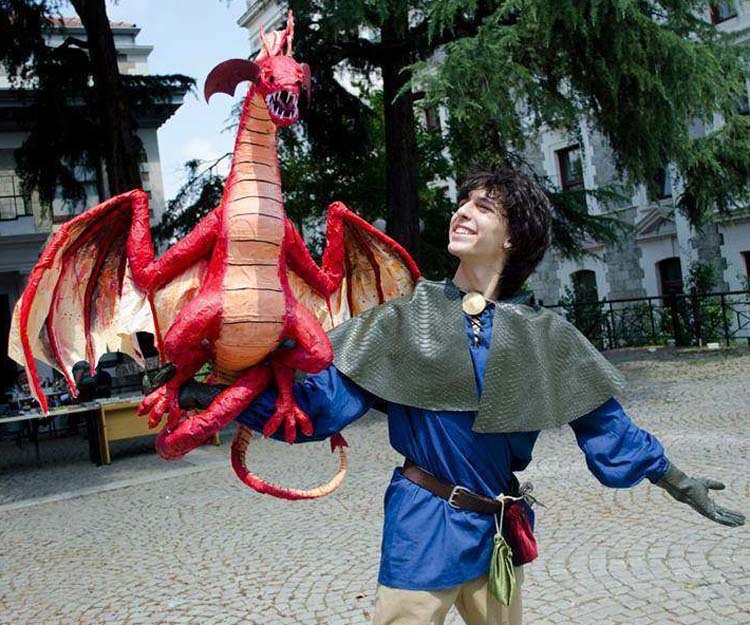 First, let me introduce my friend from Turkey, Salih Bugra Algan with his amazing red paper mache dragon! 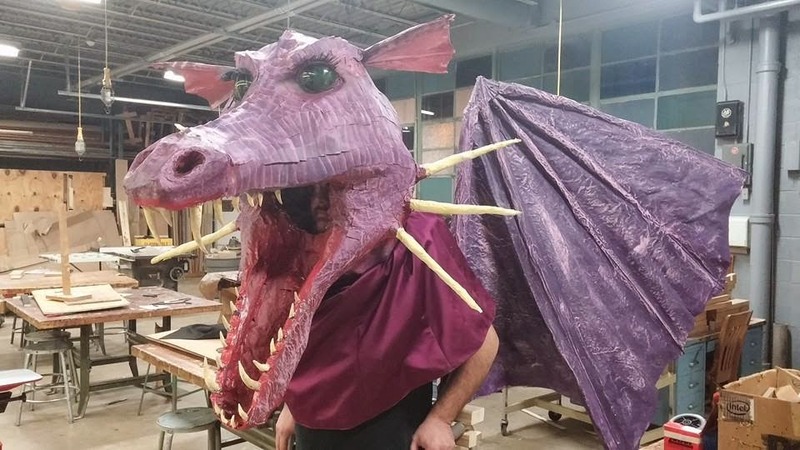 Some people use falcons, others use dragons! Wonderful! You can find Salih here. 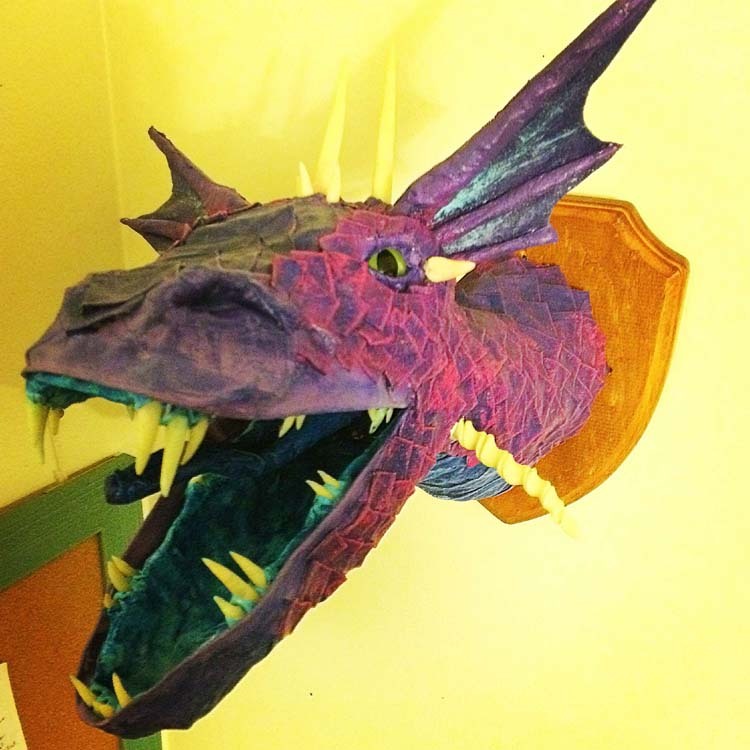 This is Richard Anthony Drakke’s paper mache Dragon head. 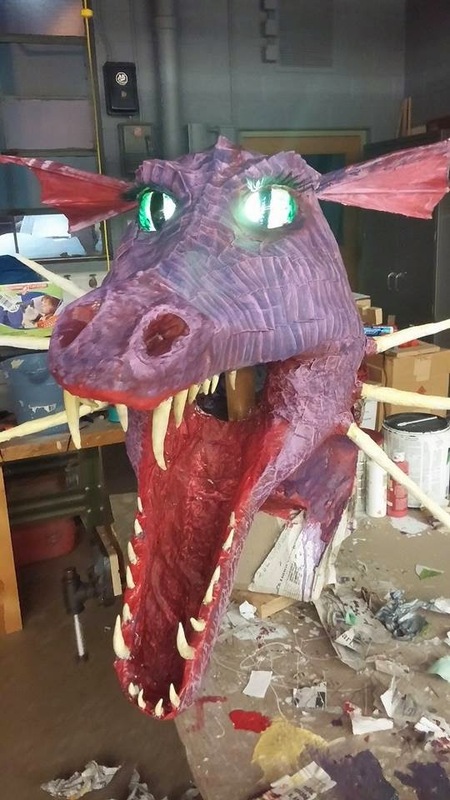 Made for the “Shrek- the Musical” school play. Excellent! You can see his blog here. and the eyes light up! 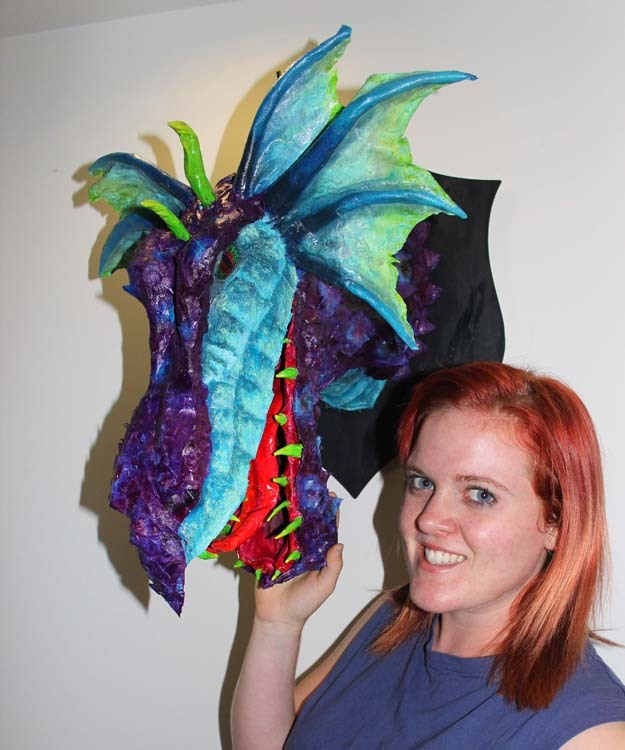 Below is Sarah Clisby and her paper mache dragon trophy. Wonderful! From the side. I love these colors! 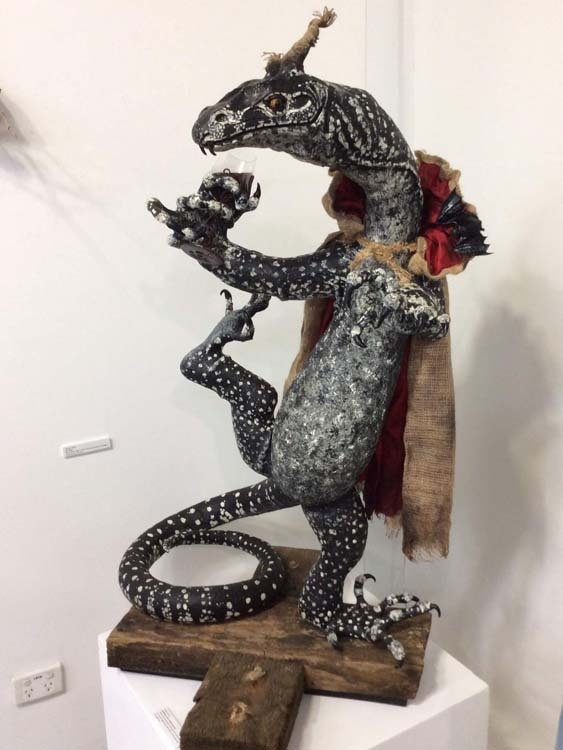 Check out Marion Uithol’s paper mache lizard! Magnificent! 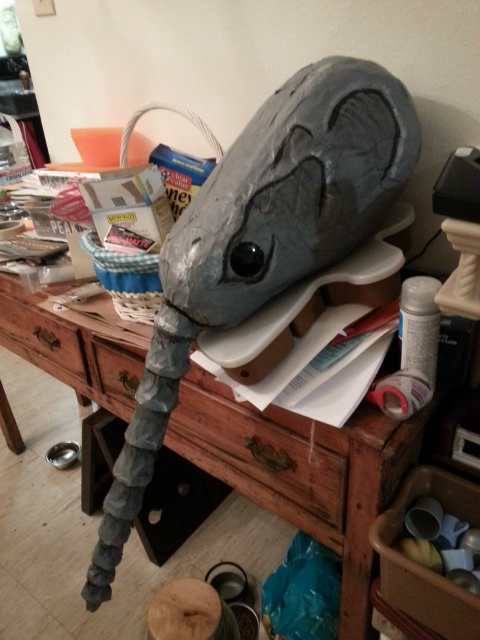 And here is Marion’s newest paper mache project. 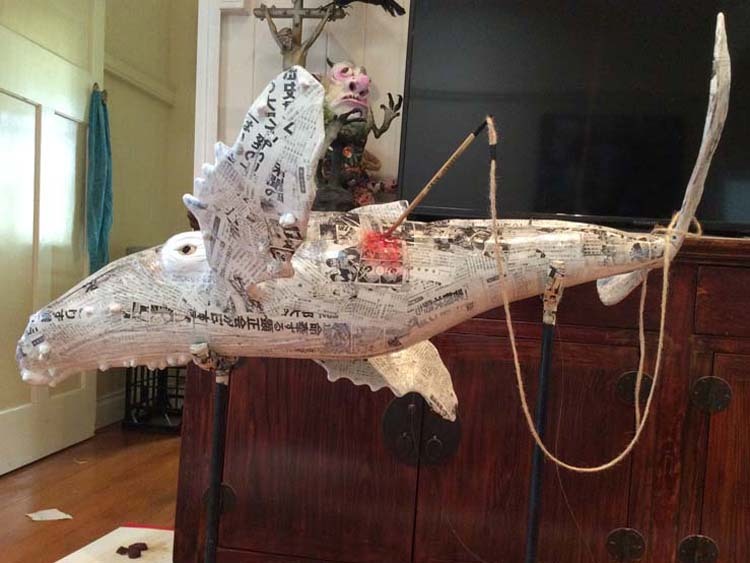 This piece is a statement against the hunting of whales, a very good one at that! Excellent work! 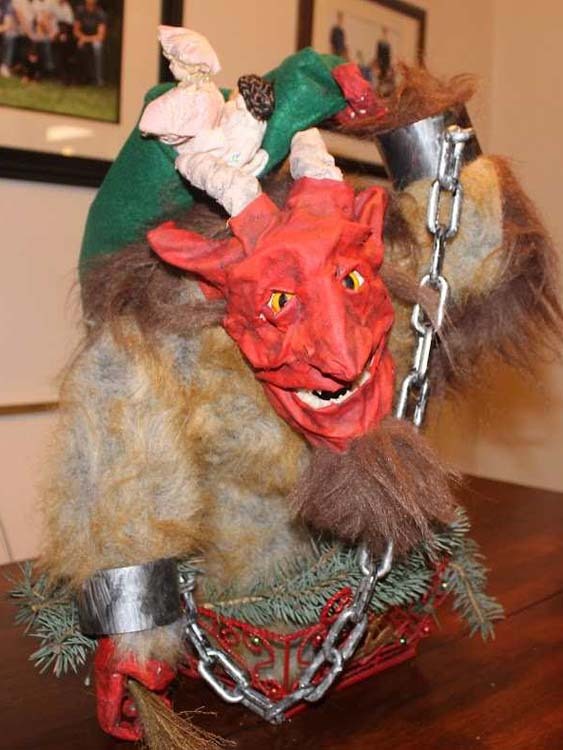 Below is Joe Heppler’s paper mache “Christmas Krampus”. Excellent! 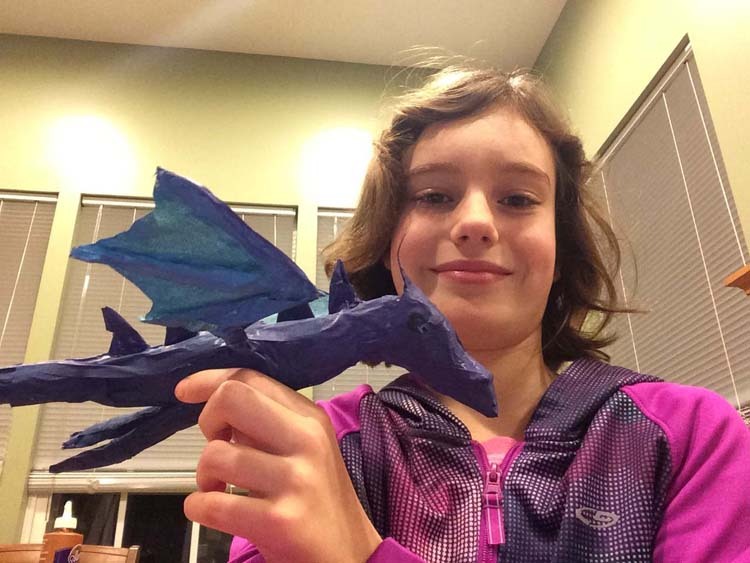 Here is Kay and her first paper dragon. Fun! Here is some art from Sweden. 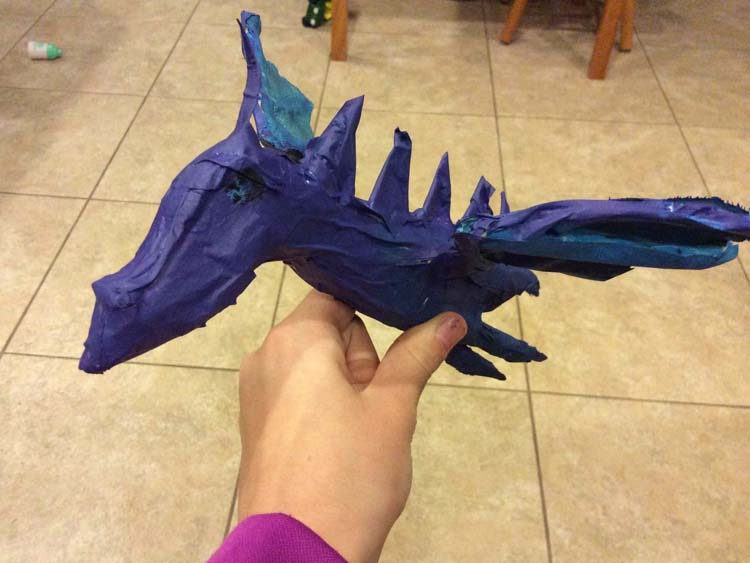 Per Rosland’s paper mache dragon trophy. Perfect! 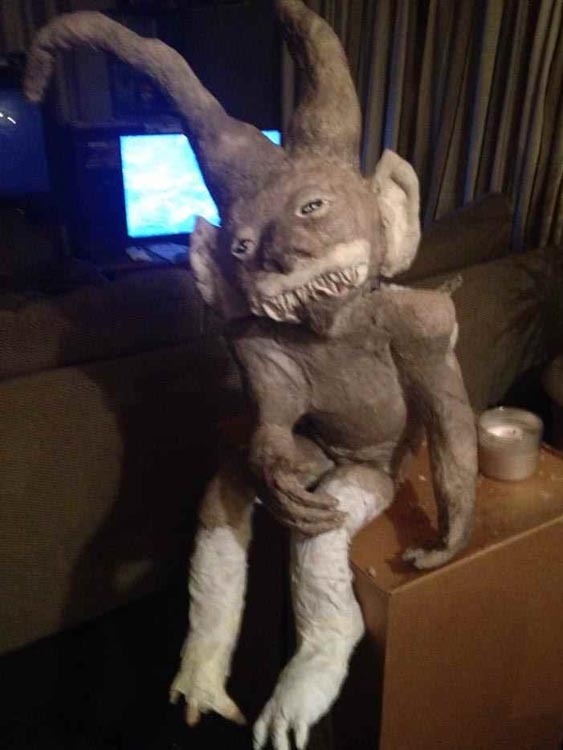 Below is Ginger’s paper mache monster. Wonderfully creepy I think! 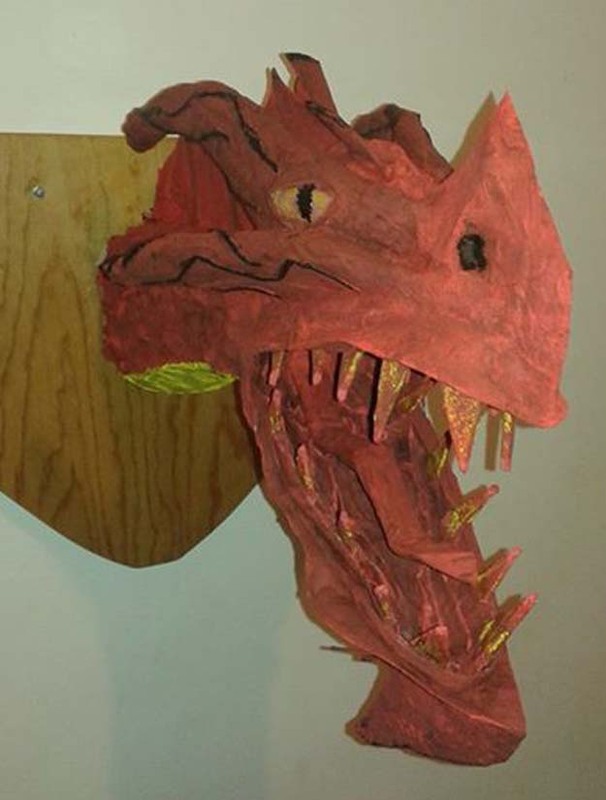 and Ginger’s paper mache head. 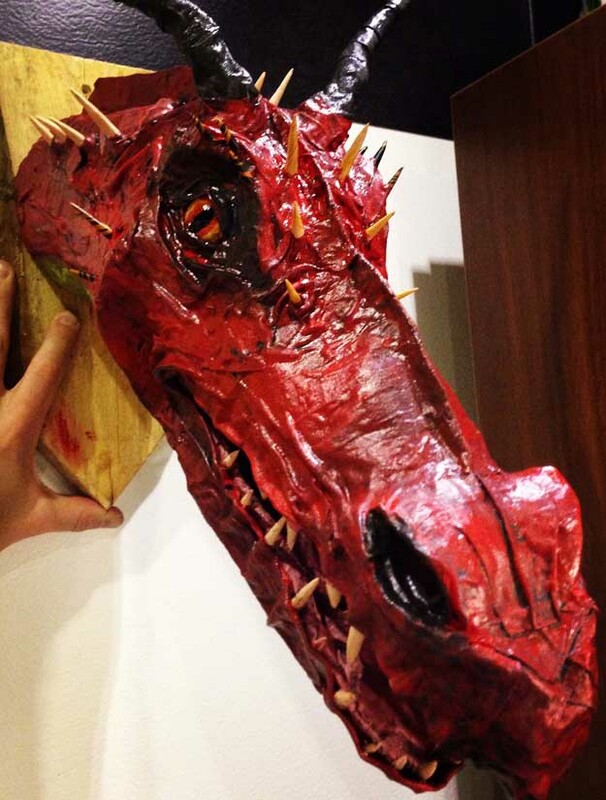 Here is Ricardo Castaneda Salazar’s first paper mache dragon trophy. Great work! 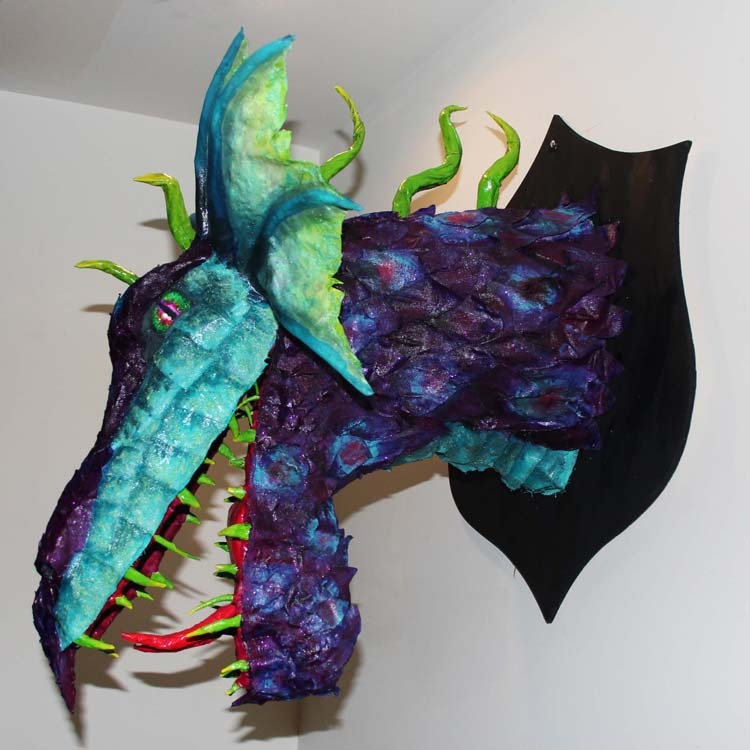 Below is “Yorgy”, Diane Sorensen’s paper mache dragon. Perfect! 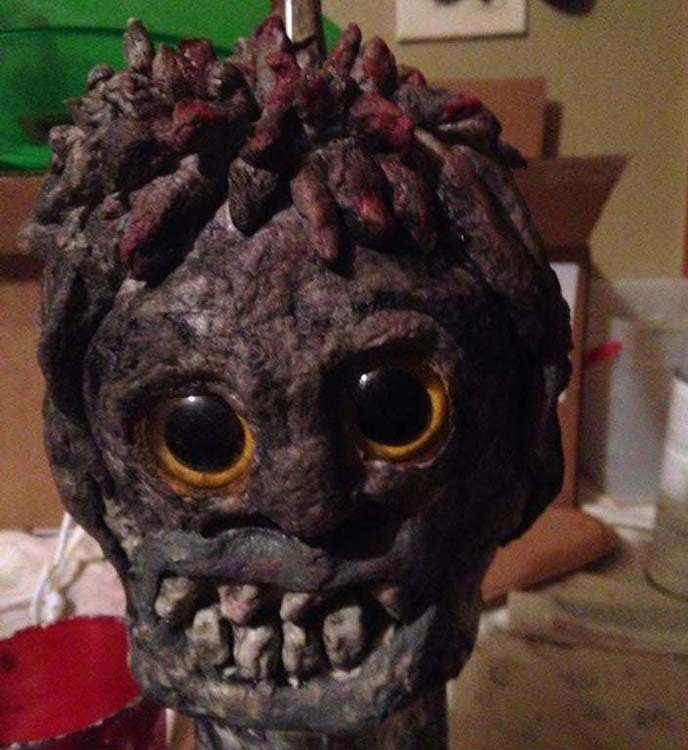 You can see more of Diane’s paper mache art on her Facebook page. 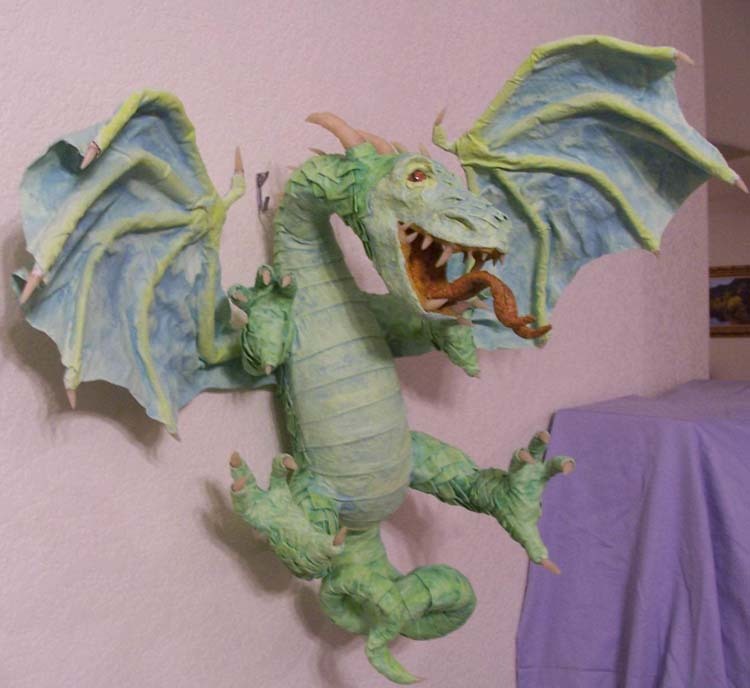 Another amazing paper mache dragon trophy. This from Anastasia Ruso. Beautiful! Finally, here is “Mr. 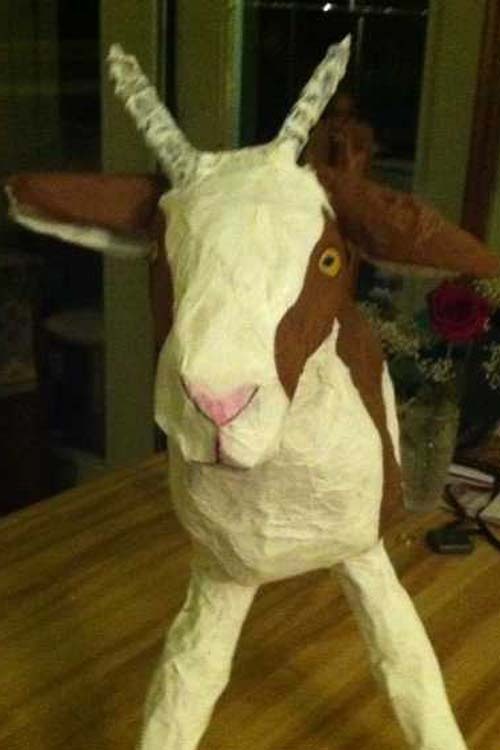 G”, Mary Jane’s paper mache Goat. I love him! Click here to go to the next “Your Photo Page”.